An advanced technology product powered by microsopic abrasive qualities. Removes stains and marks from a wide variety of surfaces without chemicals. 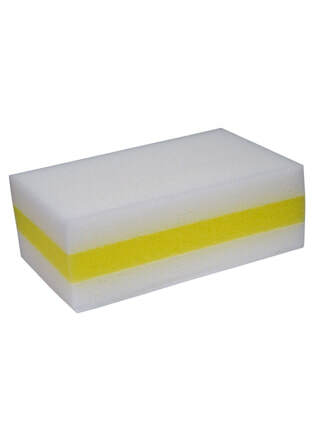 Each MARC Power Sponge is individual wrapped, and contains a yellow center stability/durability strip to minimize wear and degradation, and for additional absorbency.